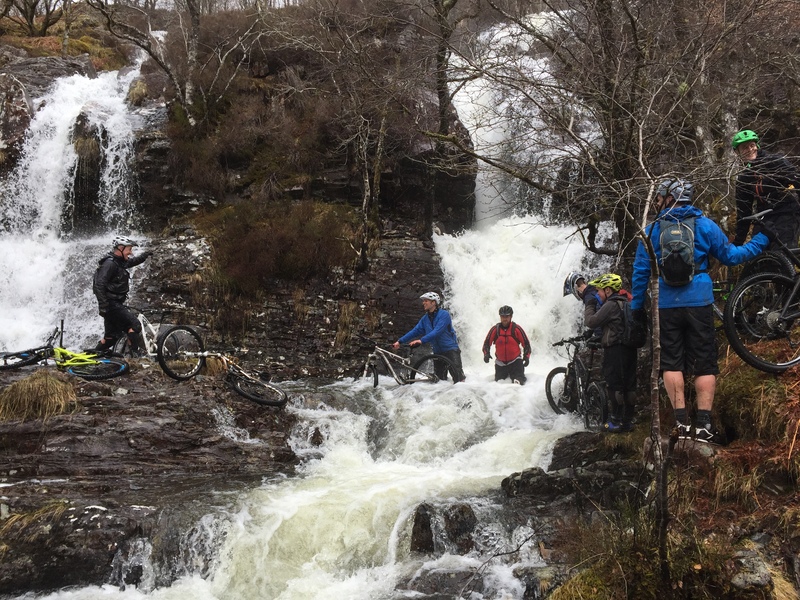 Last year’s Easter biking trip to Torridon was going to be hard to beat. 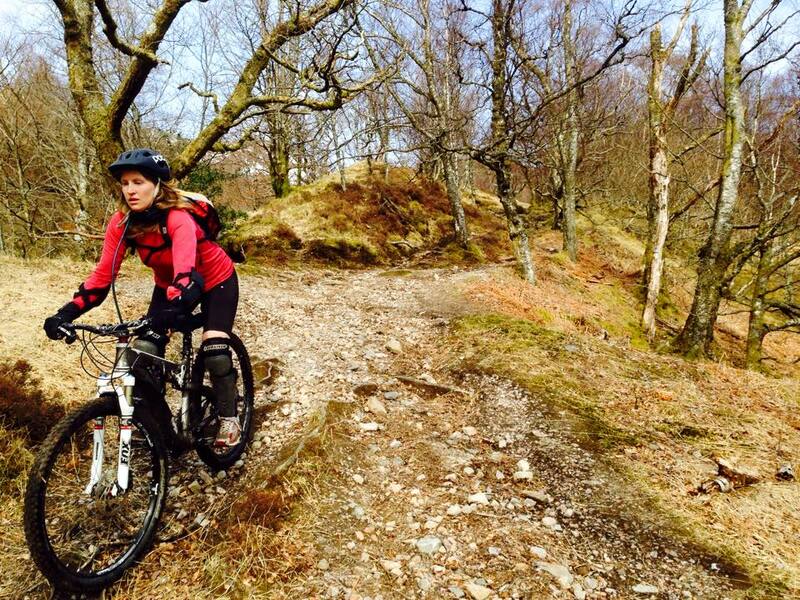 The sandstone mountains burned sienna, the riding was epic and we were blessed with gorgeous spring weather. This year, driving to Kinlochleven in torrential rain I wish I’d taken the plunge and bought a van. 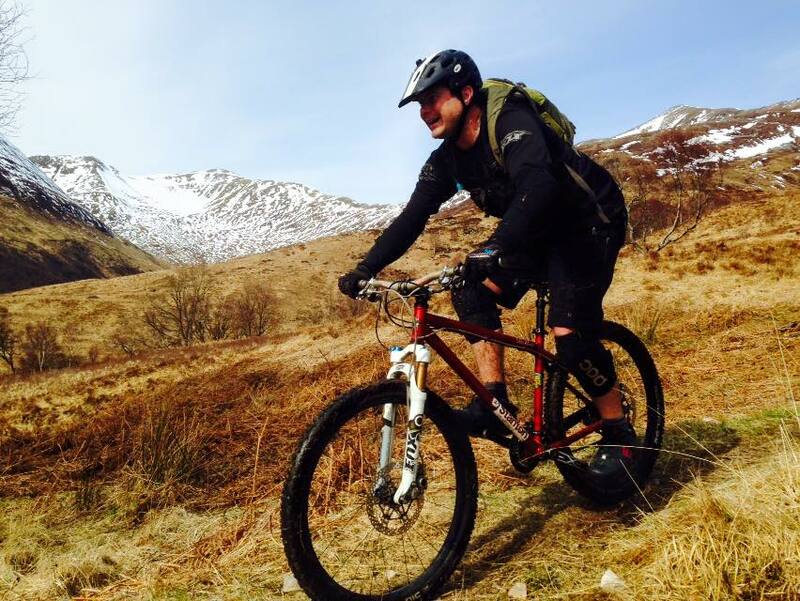 With the cloud hanging well below the tree line, we decided on a wee pootle around the trails at Nevis. Thankfully by evening the rain had stopped and we enjoyed the first of our warming fires on the shore of Loch Leven. 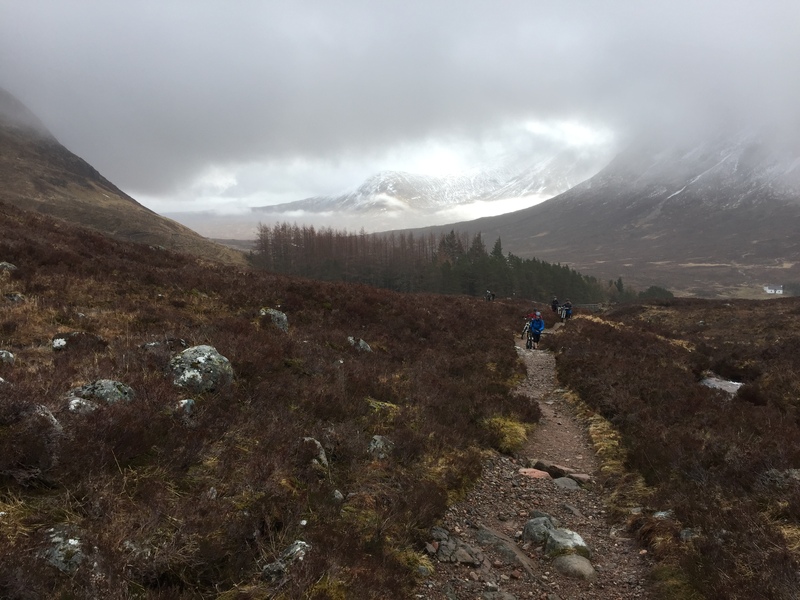 Saturday was still dreich but you can’t let the weather dictate so we headed over to Glencoe to tackle the Devil’s Staircase and Ciaran Path. Starting at 300m this is serious bang for your buck when you end up at sea level on the other side. 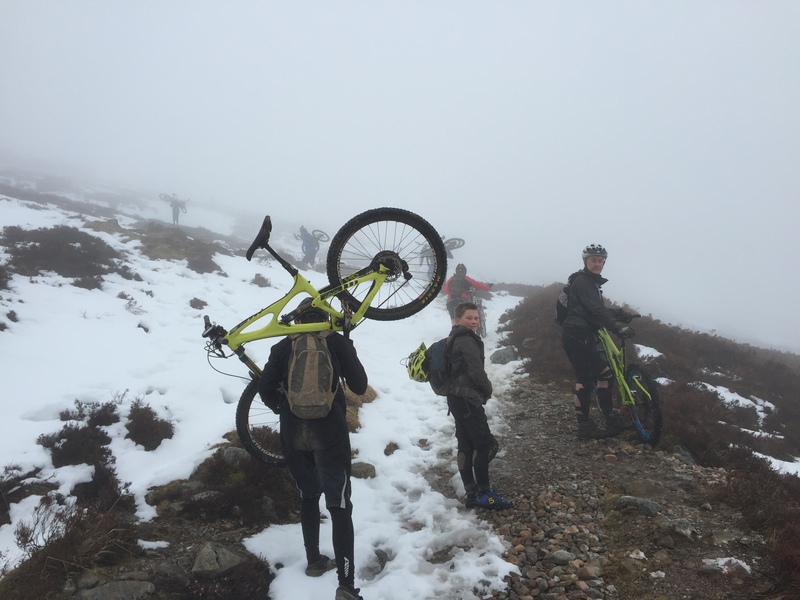 We hit the snow line about half way up and carried the bikes but it probably only took about an hour to get up. Then the fun began……. 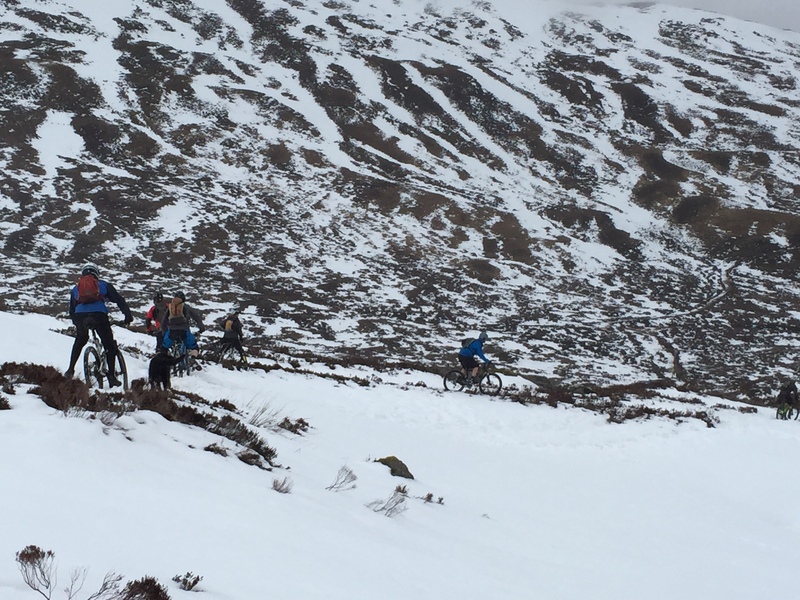 Snow biking to start with and then a sweet flowy descent over some chunky rock. Before the bottom, we took a right onto a concrete culvert which carries water from Blackwater dam to the power station, and followed it for a few miles to the foot of the dam. 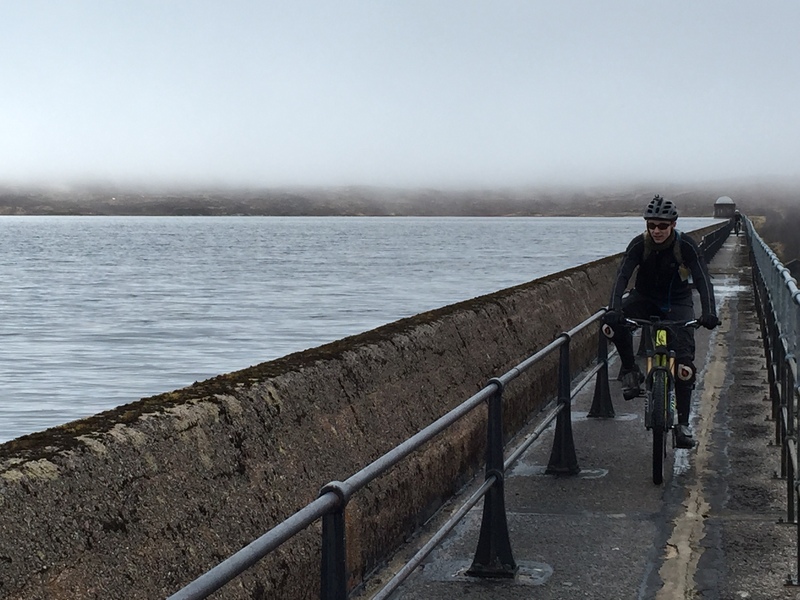 Riding across the top of the dam was surreal; on the right the distant shores of the reservoir glistened in the sun while on the left was a sheer drop down the face of the dam. Then we hit the Ciaran Path which was techy and pretty challenging, especially when we arrived at the waterfall. Matt and Gregor took control and all bodies, bikes and dogs got over safely. Not the time for wearing Sealskinz socks though! 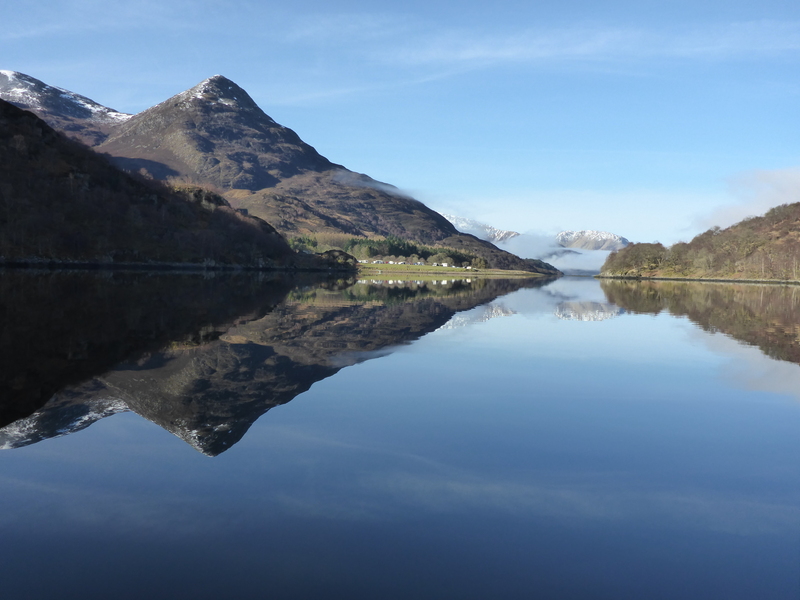 The weather gods arrived by Sunday morning and we woke to a stunning morning with a glassy Loch Leven. I went out on the paddleboard and it was one of those moments where perfect reflections cause your mind to play tricks and the horizon becomes hard to place. Most folk had a shot on the board although had to be quick before the strong current at the Narrows kicked in. 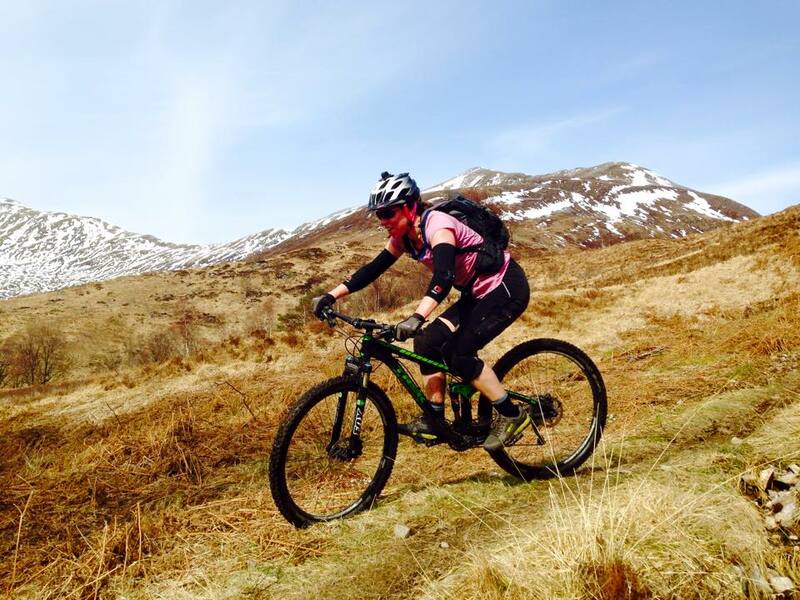 We then headed to ride the enduro trails above Kinlochleven. 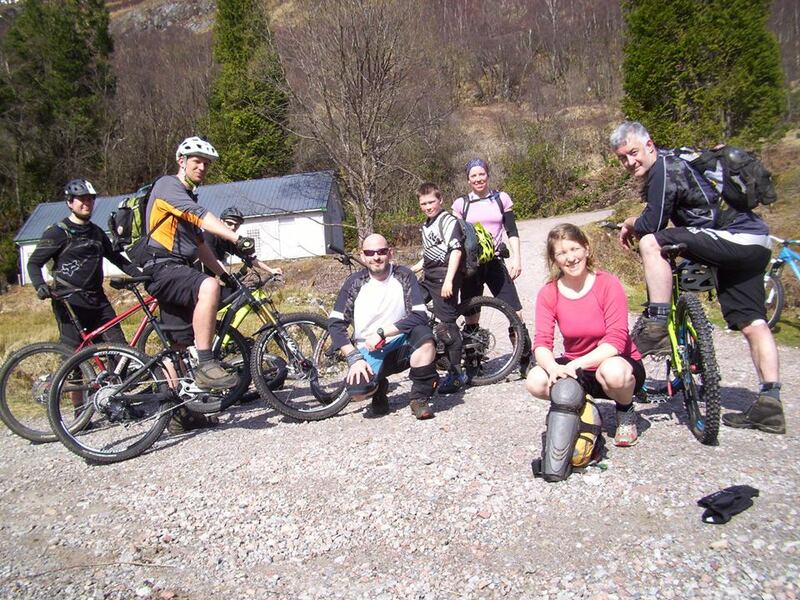 The sun was shining and the climb to Mamore Lodge was hot and sweaty. After refuelling a bit further up we continued past the start of the trail to check out the bothy at the start of Loch Eilde Mor for future trips. It was a dump, filled with litter from fishermen. This trail was awesome! Rocky and rooty with some committing drops, lines and gullies. 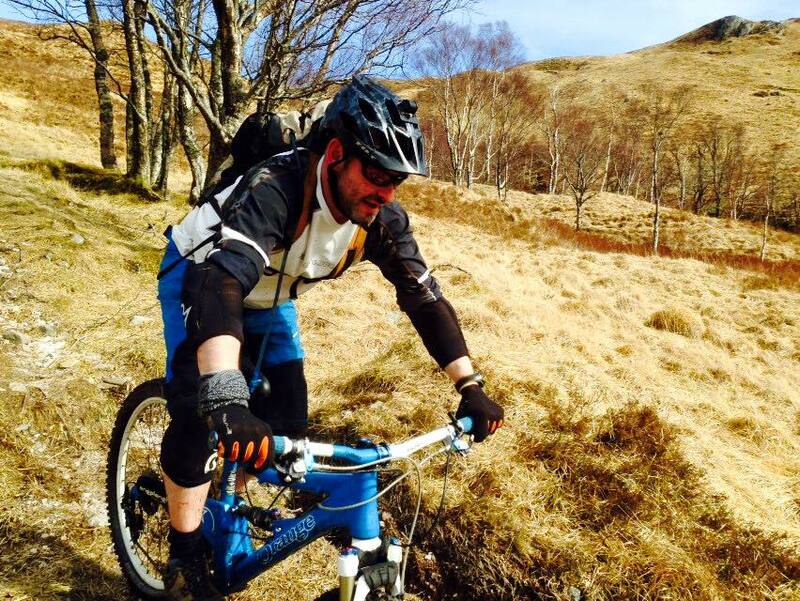 I had major thigh burn and adrenaline was in full flow. Thankfully made it down unscathed (unlike some of the bikes) but almost came a cropper a few times. Wow, wow, wow! By Monday our legs were weary so we opted for a wee hike into the Hidden Valley and a chilled end to the trip. I always find myself saying ‘Scotland doesn’t get better than this’ then I go on another trip and say it all over again. 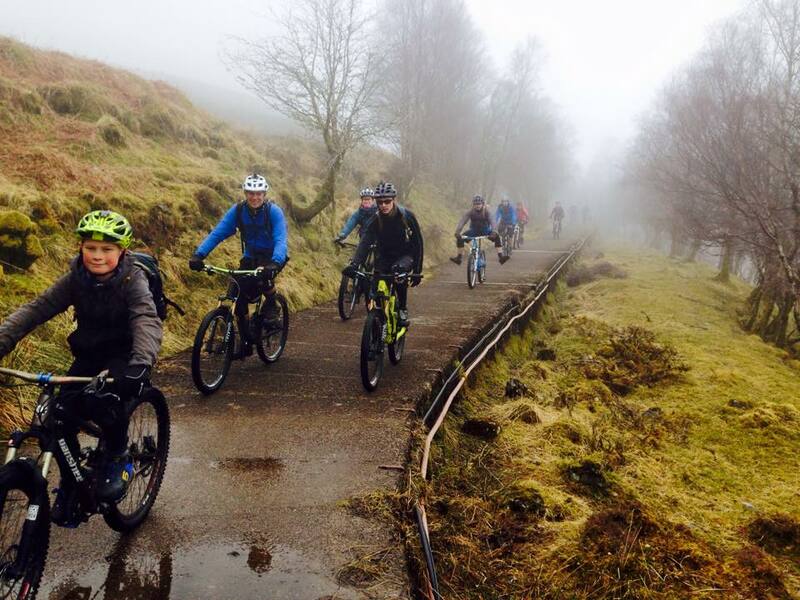 Once again awesome scenery, riding and banter. 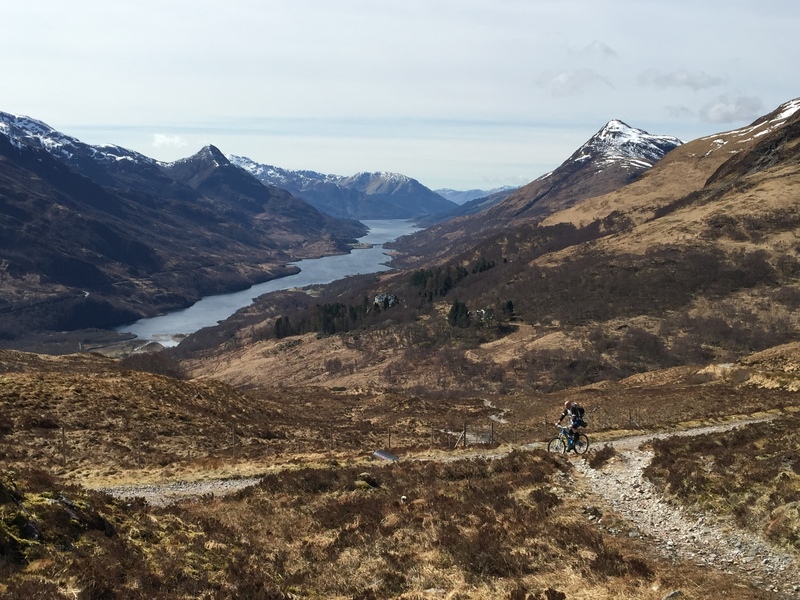 This entry was posted in Outdoors and tagged Glencoe, Kinlochleven, mountain biking, MTB, Scotland on 14/04/2015 by Mangoventures.